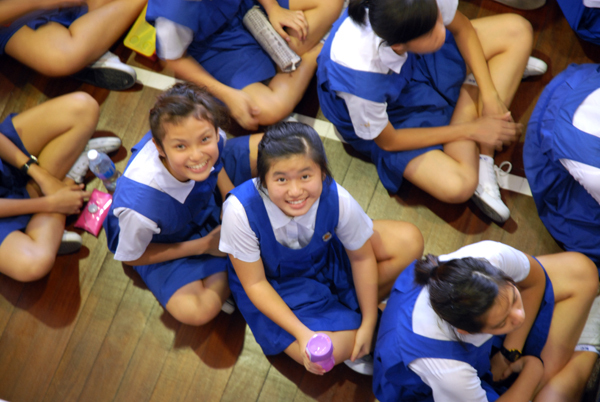 What would be a better way to celebrate Racial Harmony Day than having it in school. 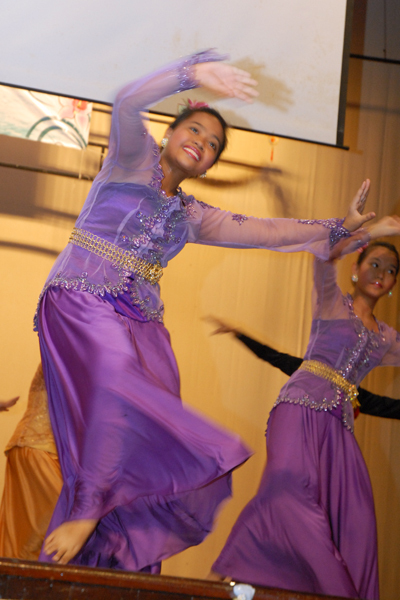 The school used Monday's assembly program to celebrate racial harmony day. It was a simple way to commemorate the peaceful relationship between the various religious groups in Singapore. The program consists of a skit by the chinese drama students, the malay dance and a guest speaker on racial stereotyping. Top down perspective of my two students from the gallery. Wish I could redo this shot again.